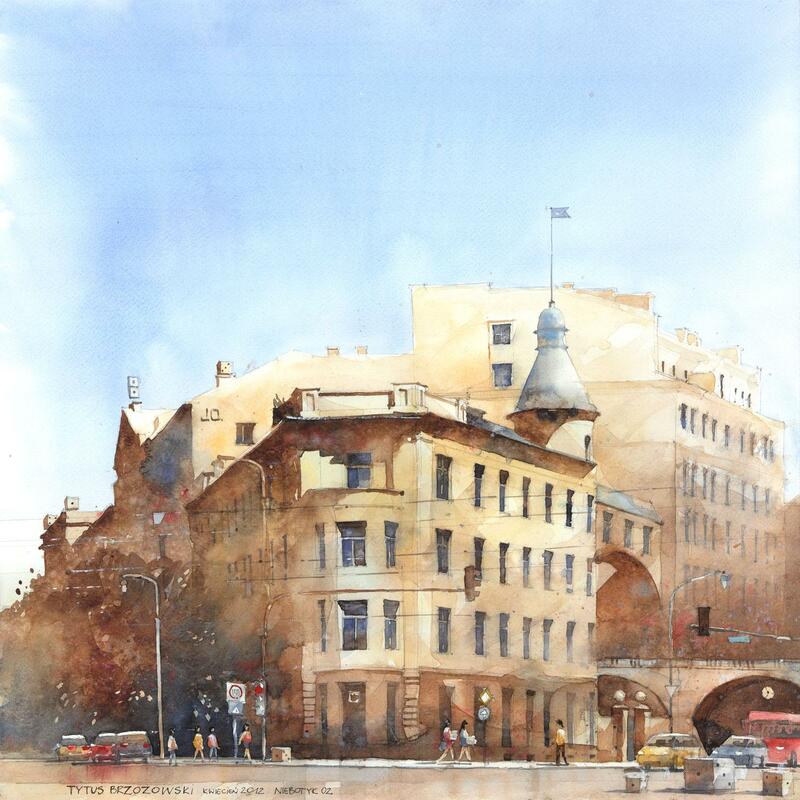 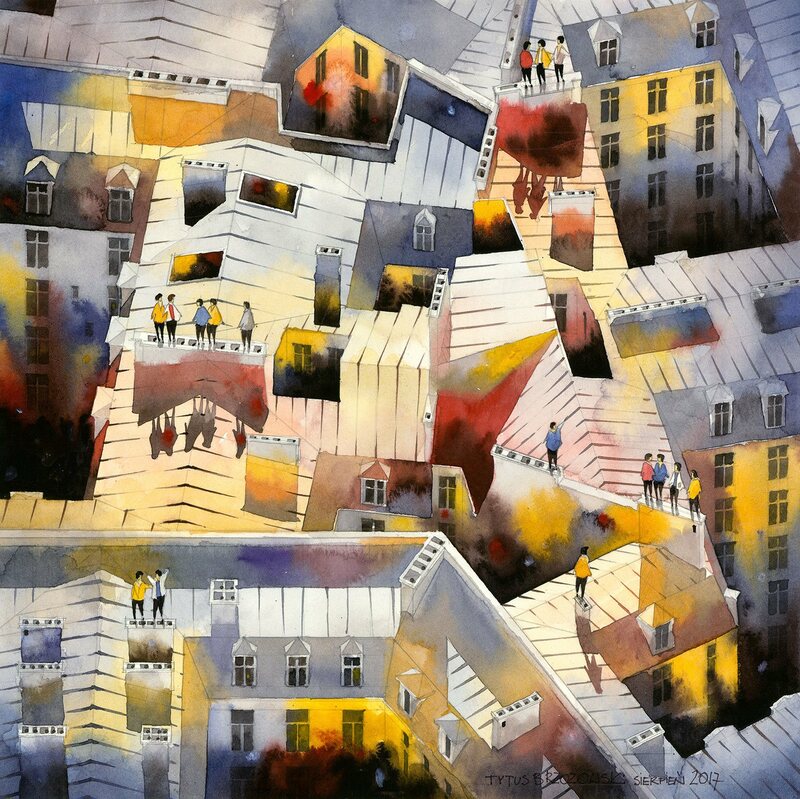 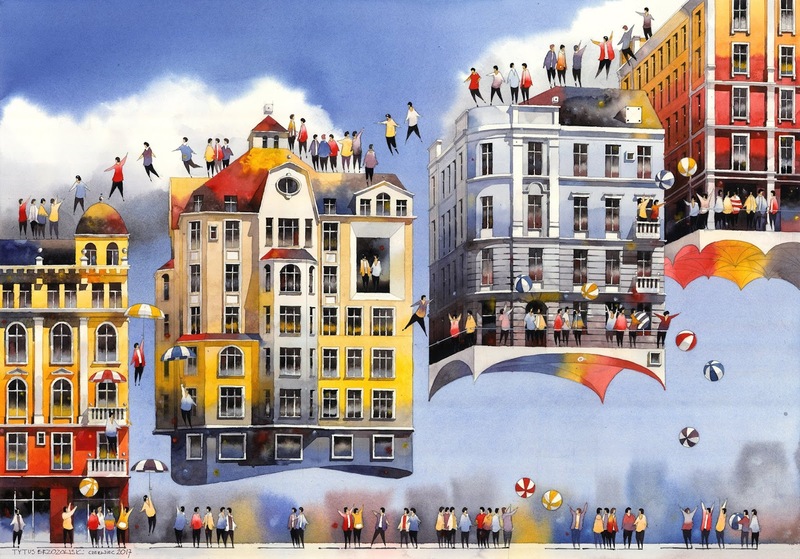 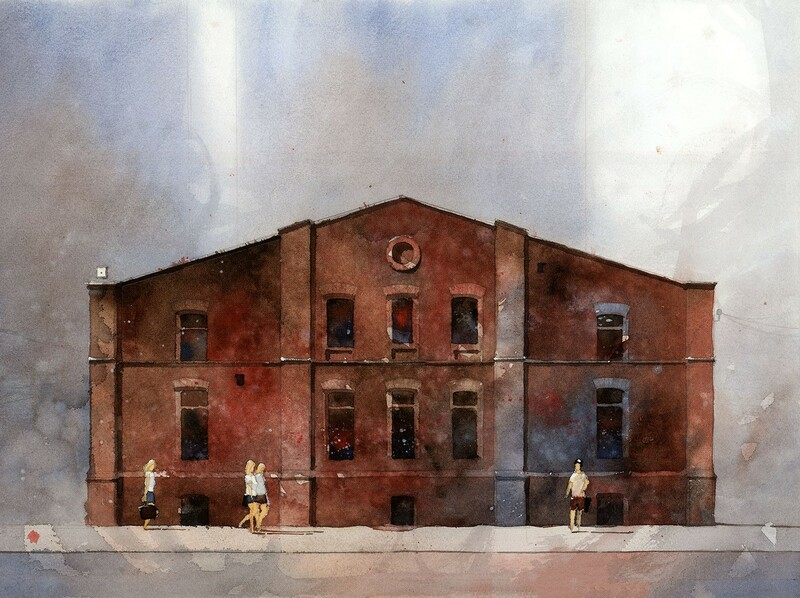 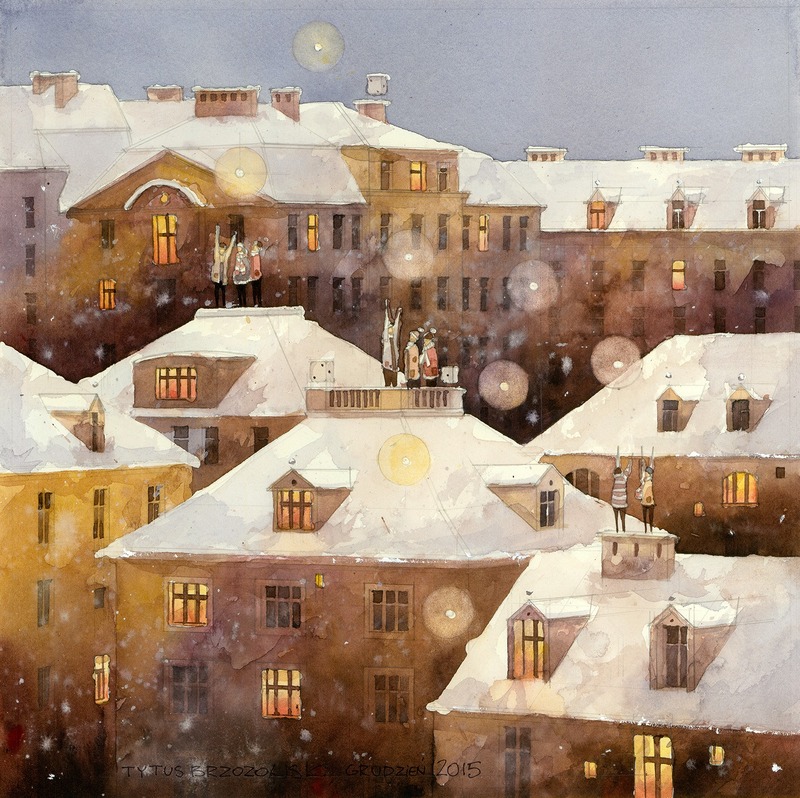 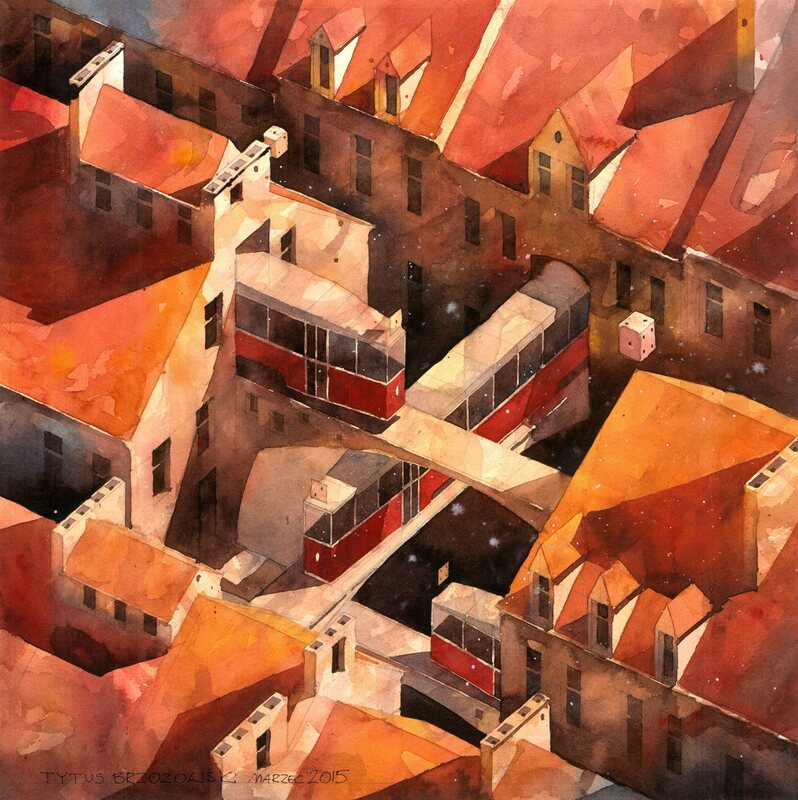 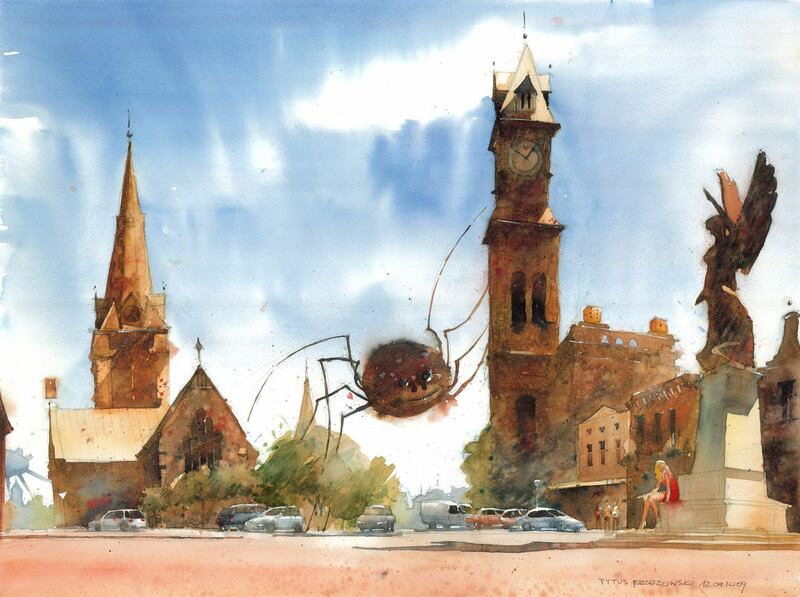 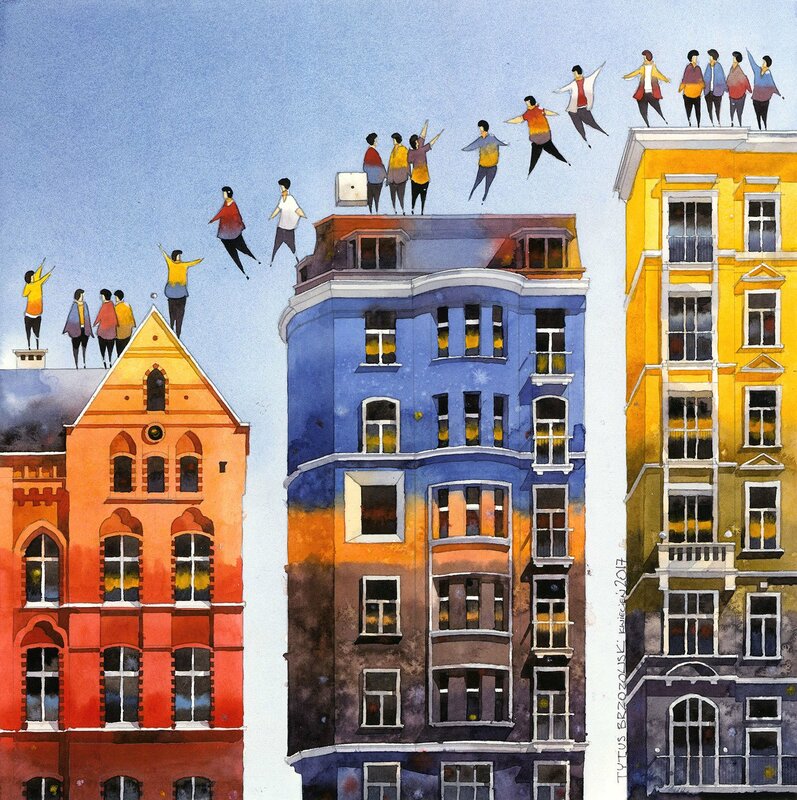 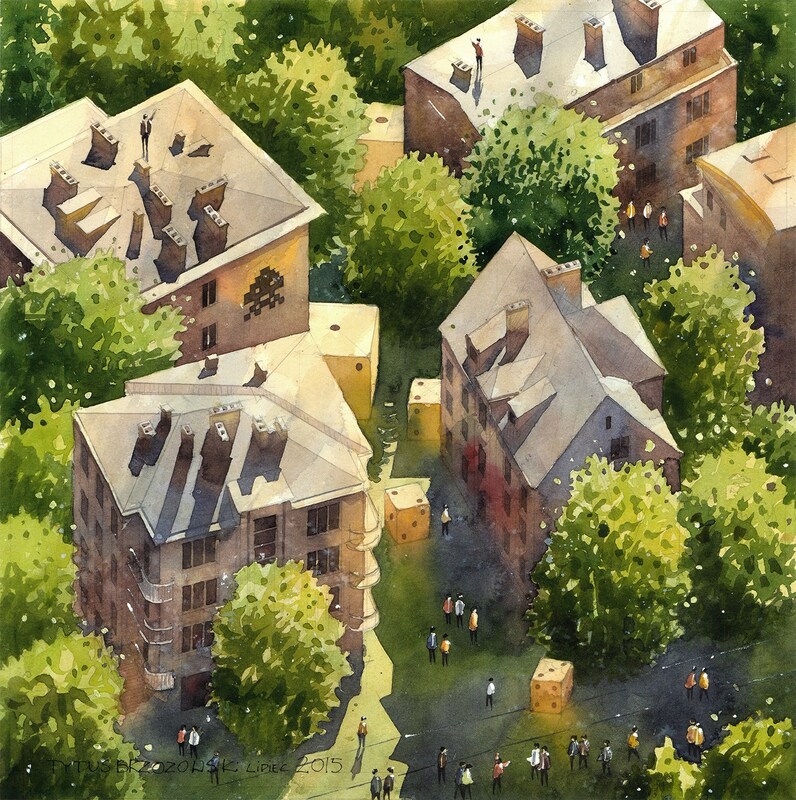 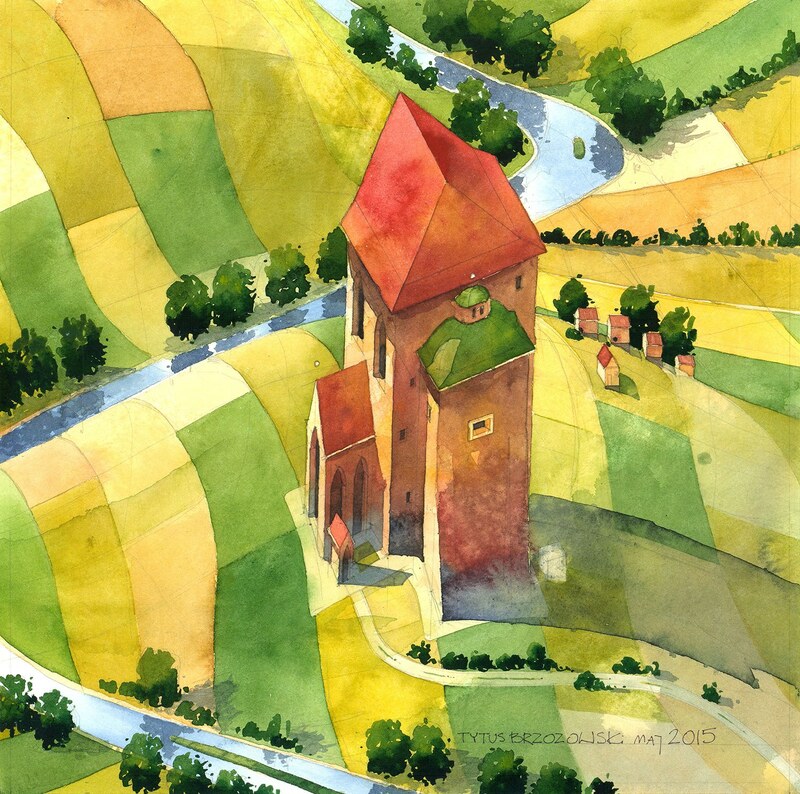 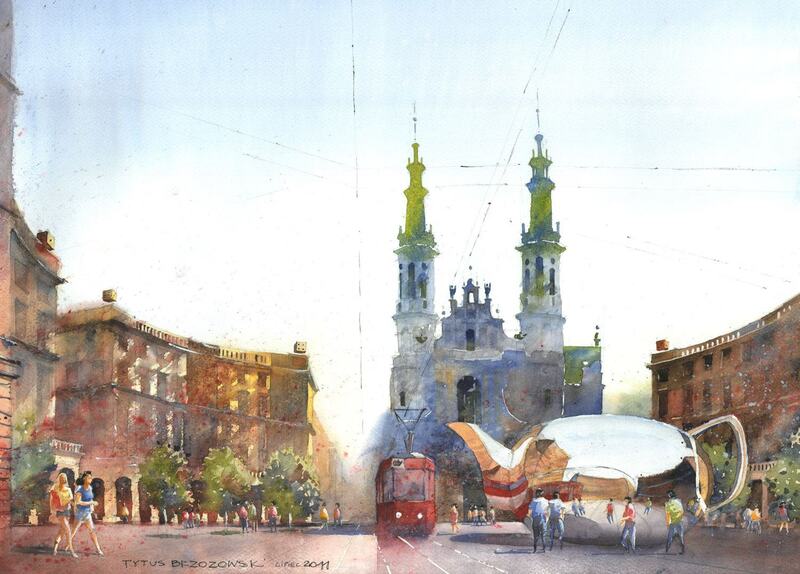 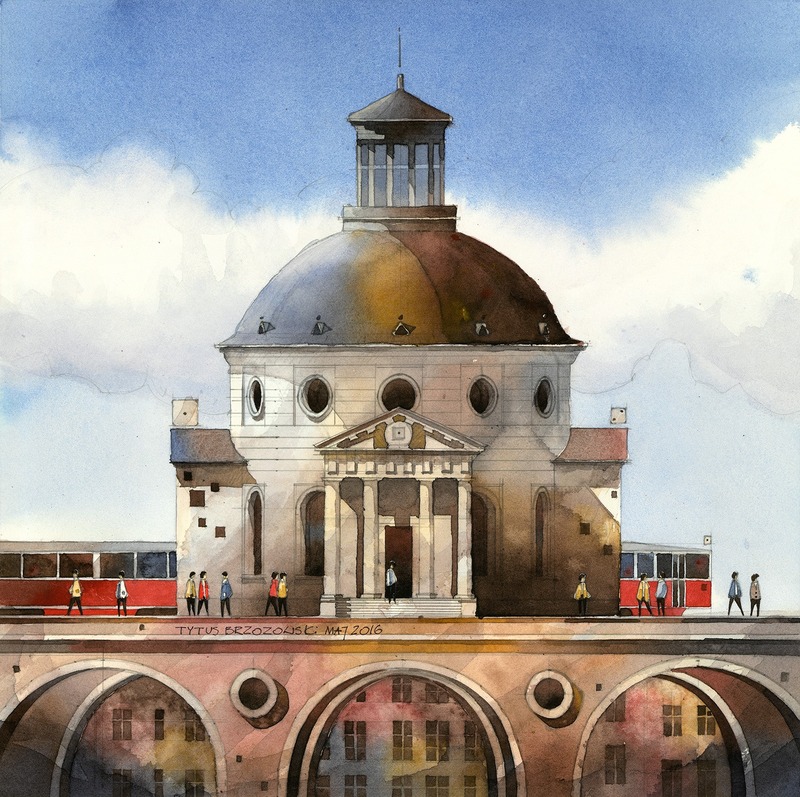 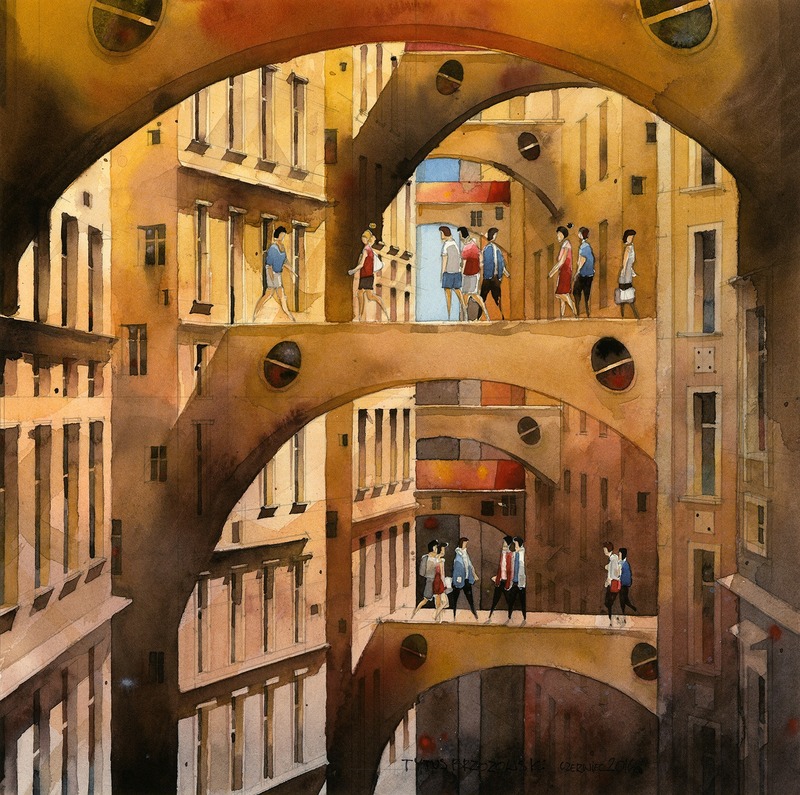 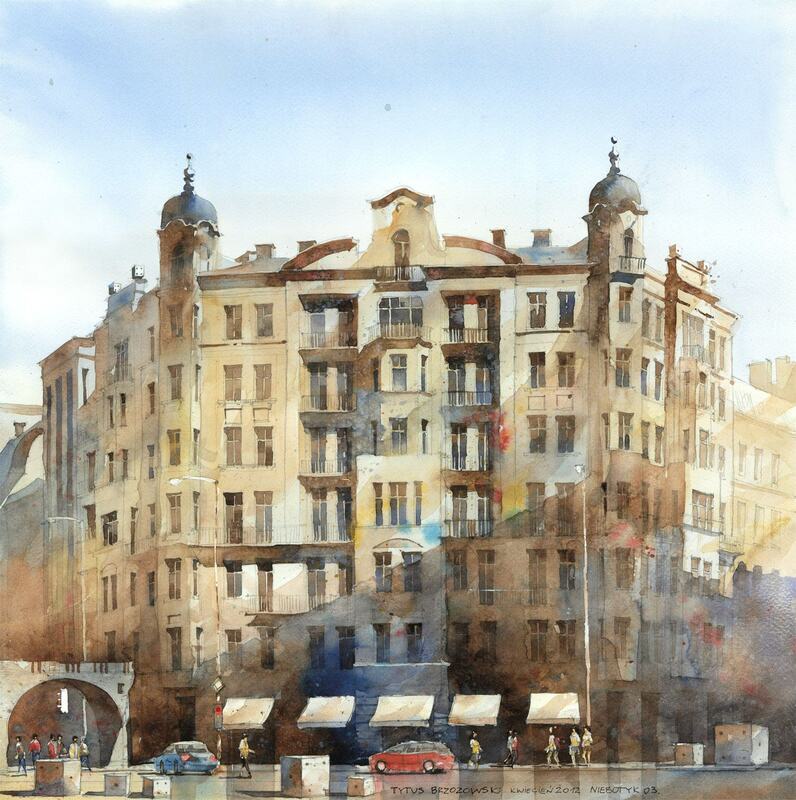 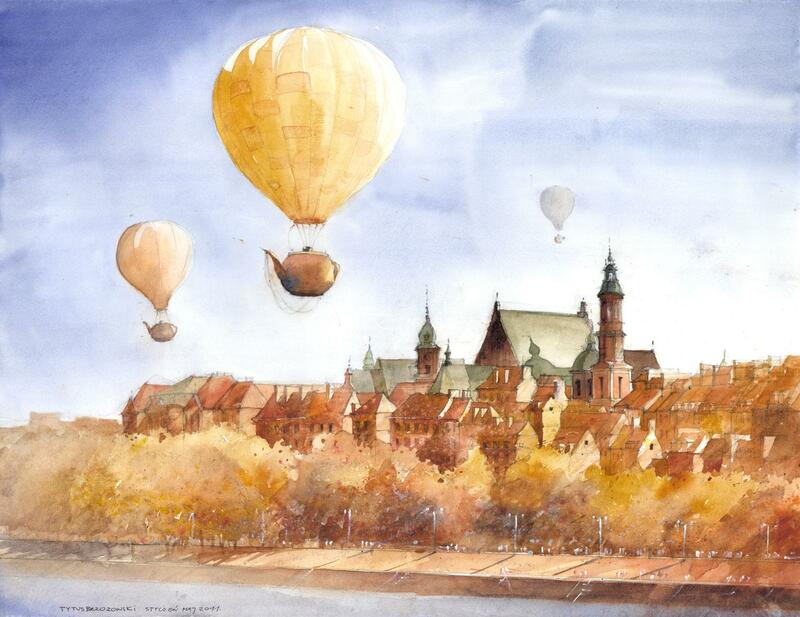 Polish painter Tytus Brzozowski is an architect and watercolorist. 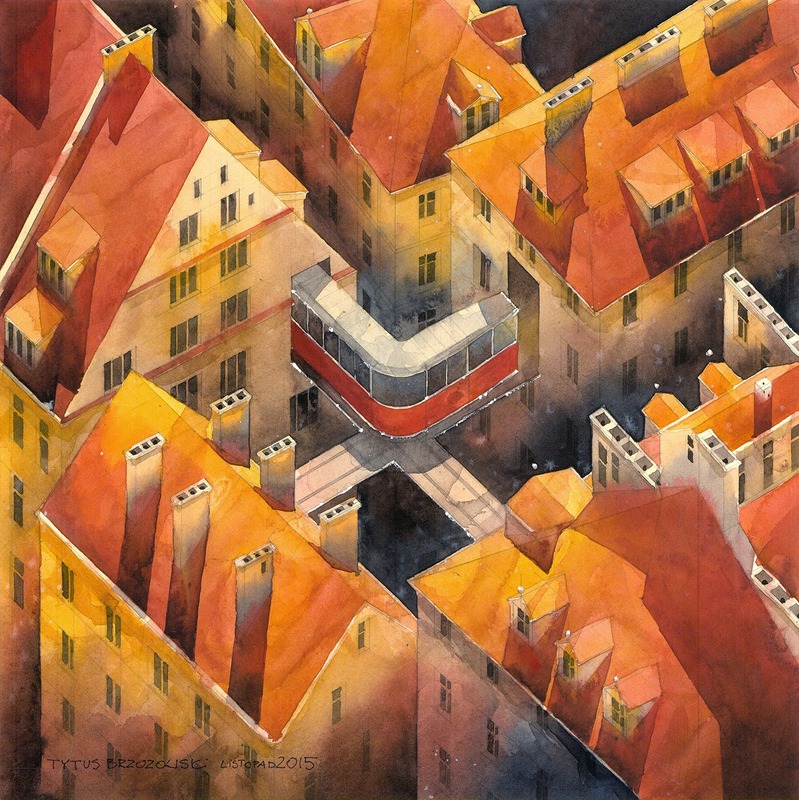 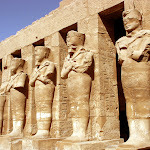 He graduated from the Faculty of Architecture of the Warsaw University of Technology. 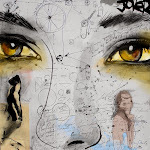 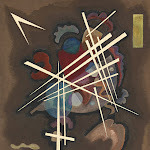 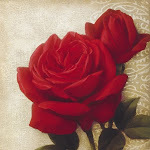 He also studied and worked in Finland where he was searching for severe Nordic art and design. 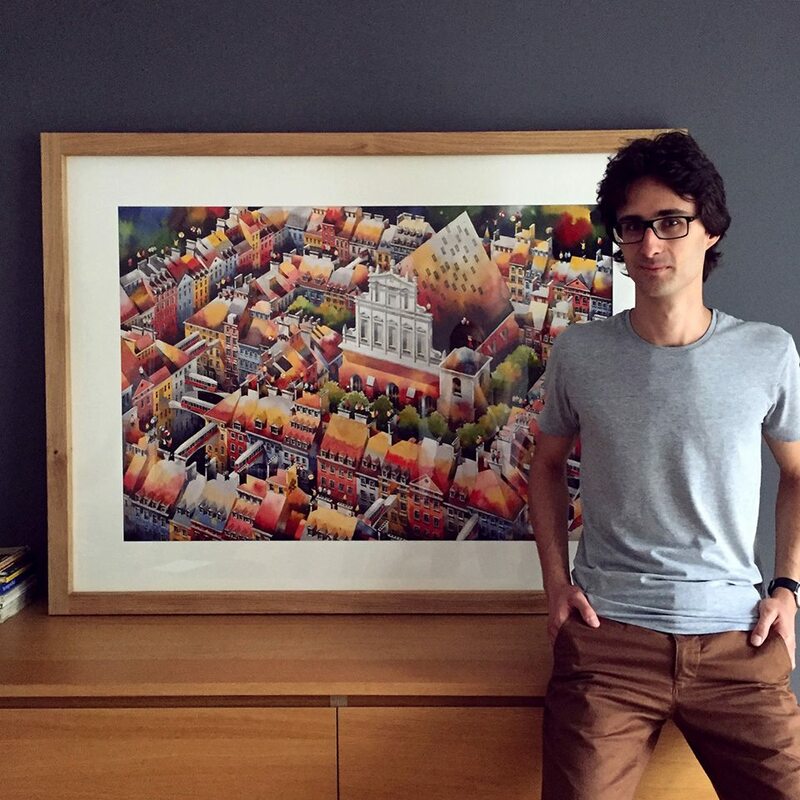 He has been working in Jems Architects for five years. 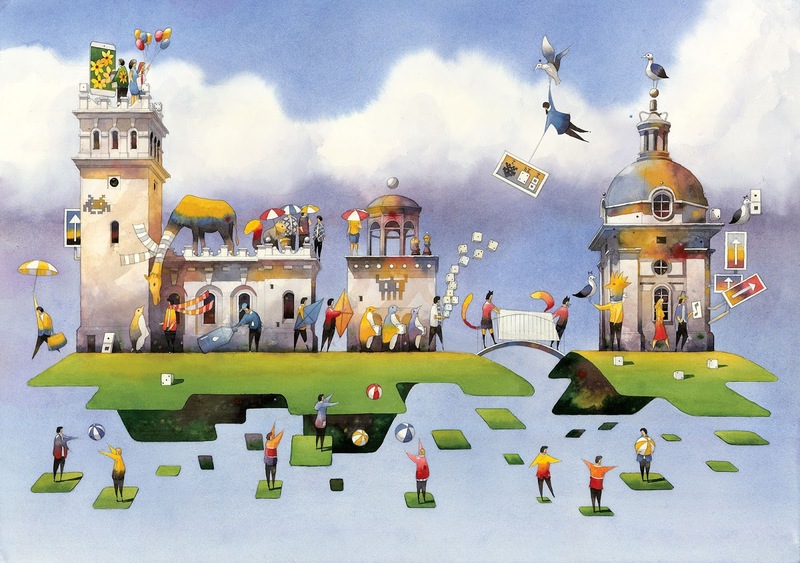 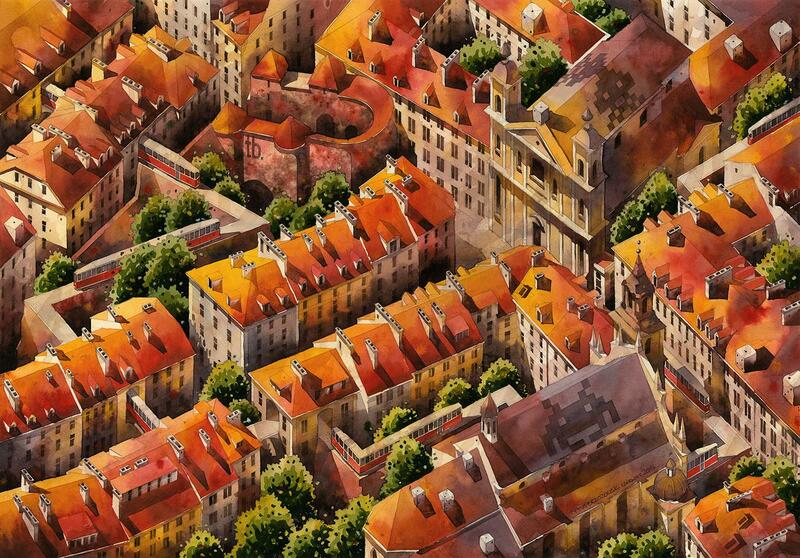 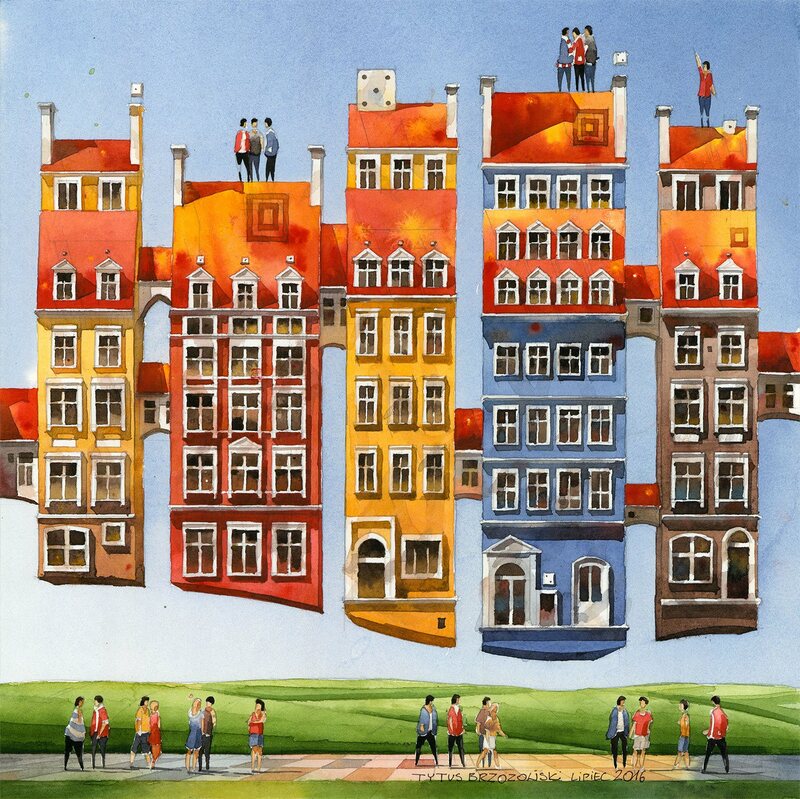 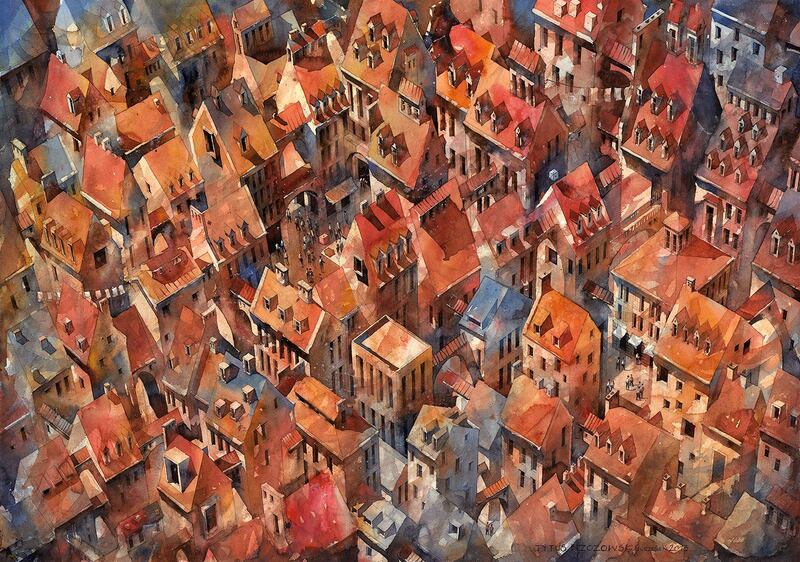 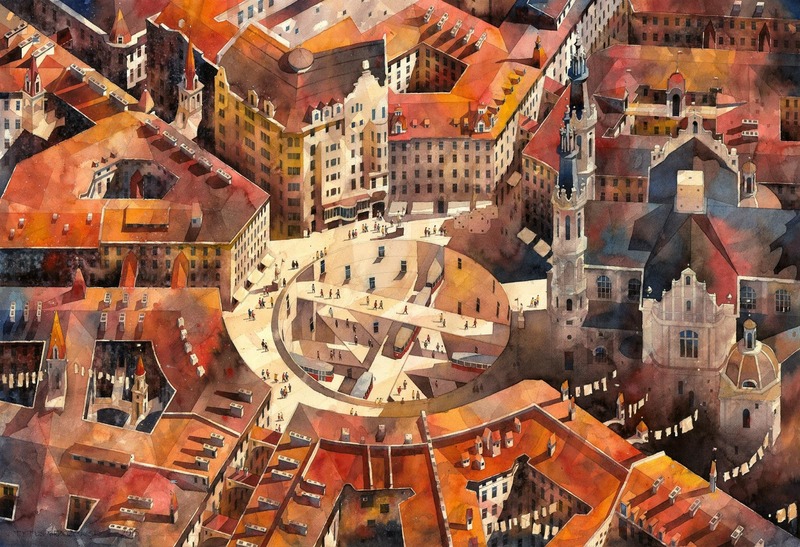 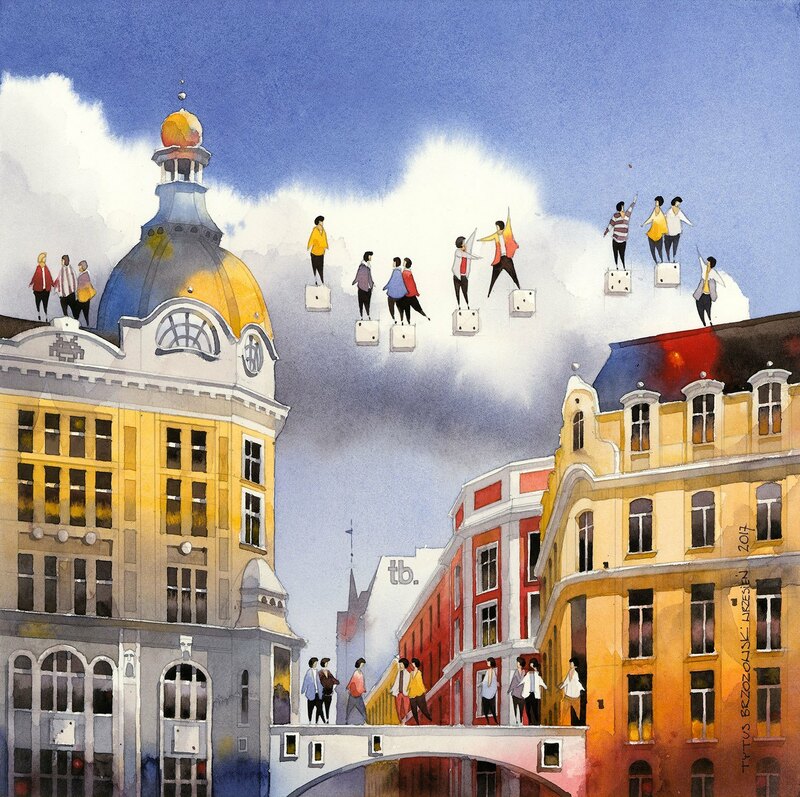 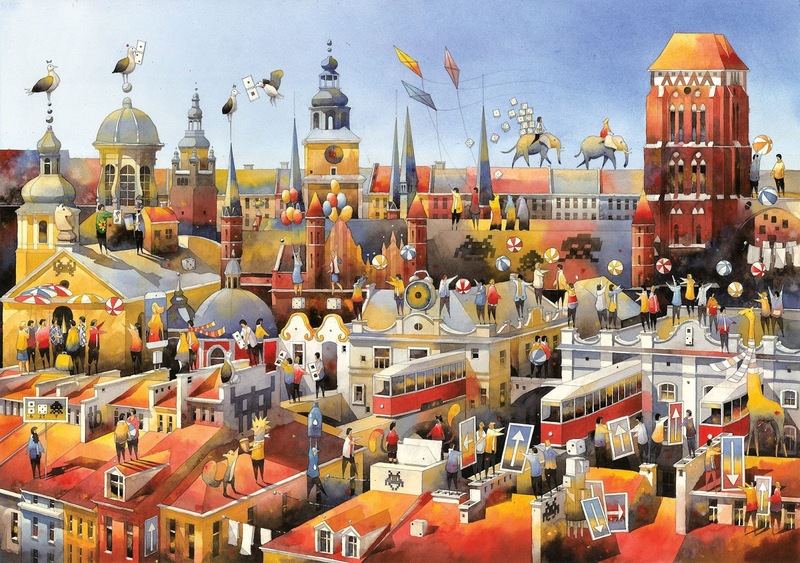 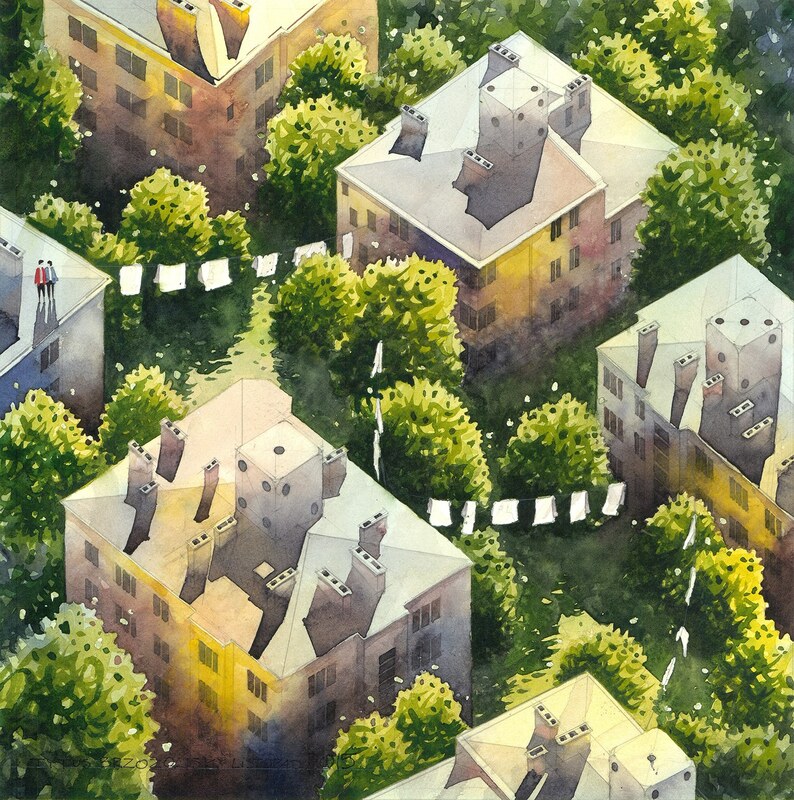 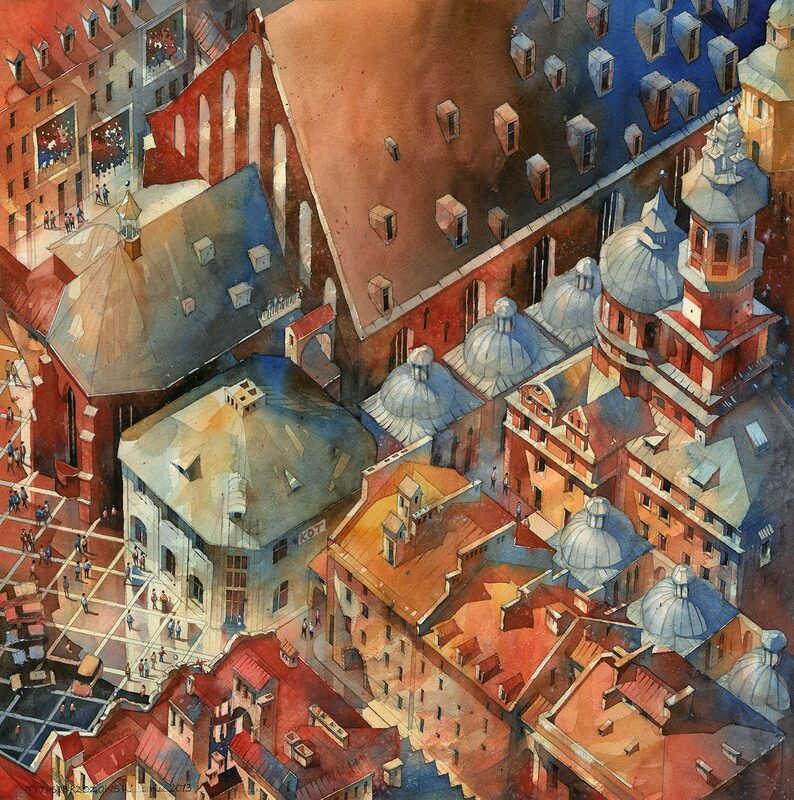 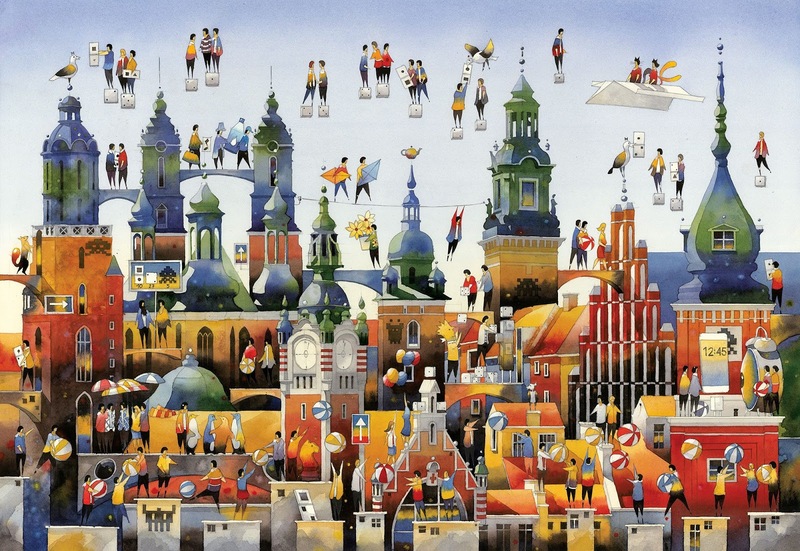 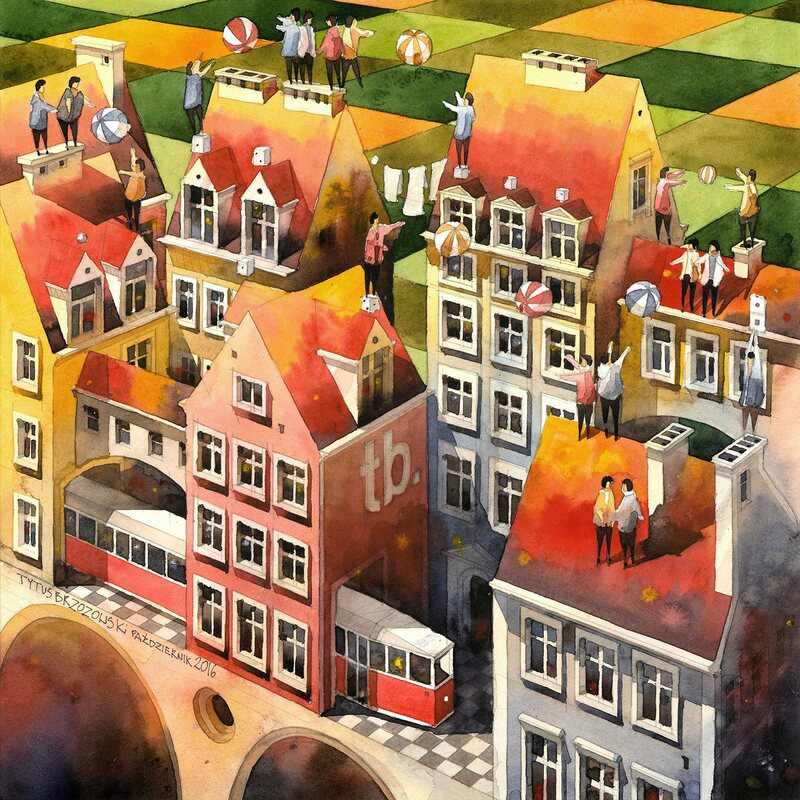 Tytus Brzozowski presents the city of his dreams - full of decorative buildings, narrow streets and soaring towers. 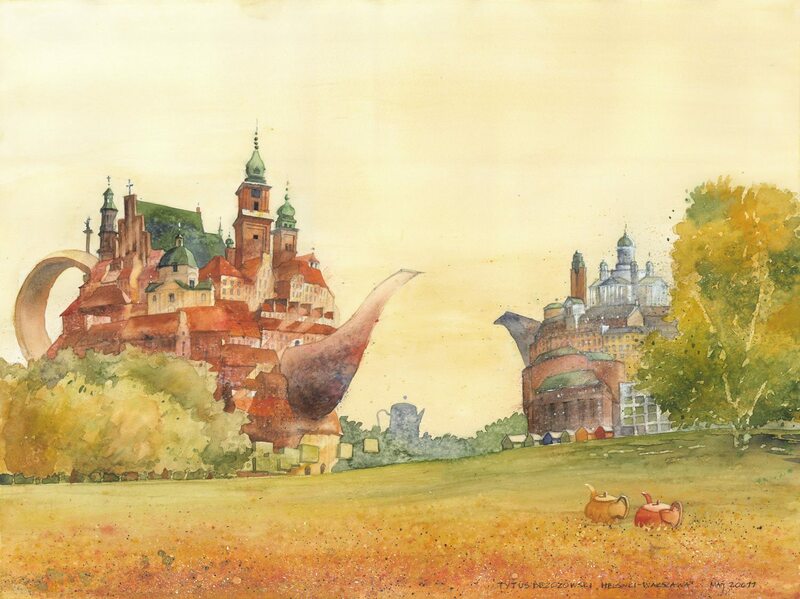 Using the elements of architecture and landscape that are characteristic for Warsaw, he creates new worlds that, despite its fairy character, are still local. 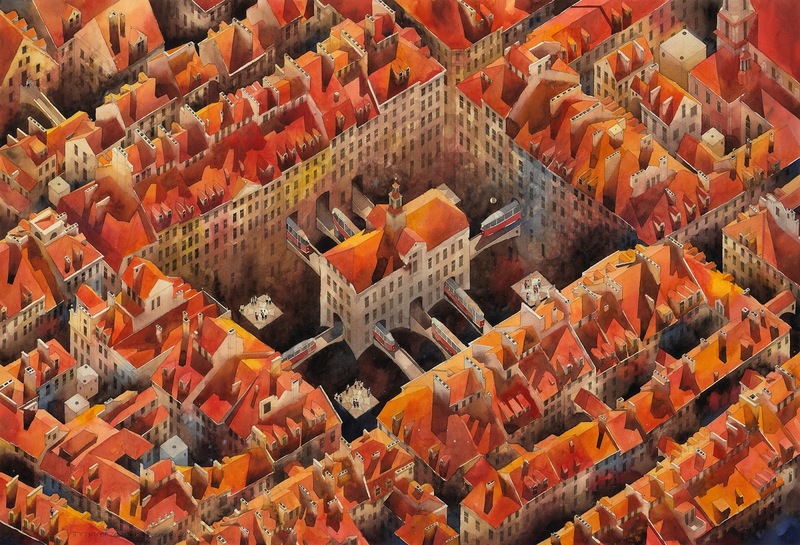 He looks for stratifications of history, collates buildings from different places and times. 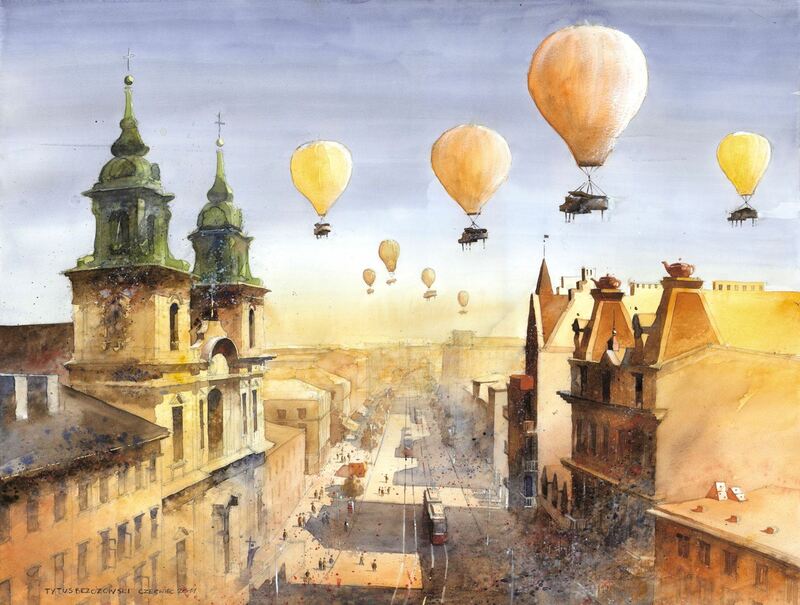 In the paintings of Tytus Brzozowski one can find intriguing, surreal elements, hidden threads and events. 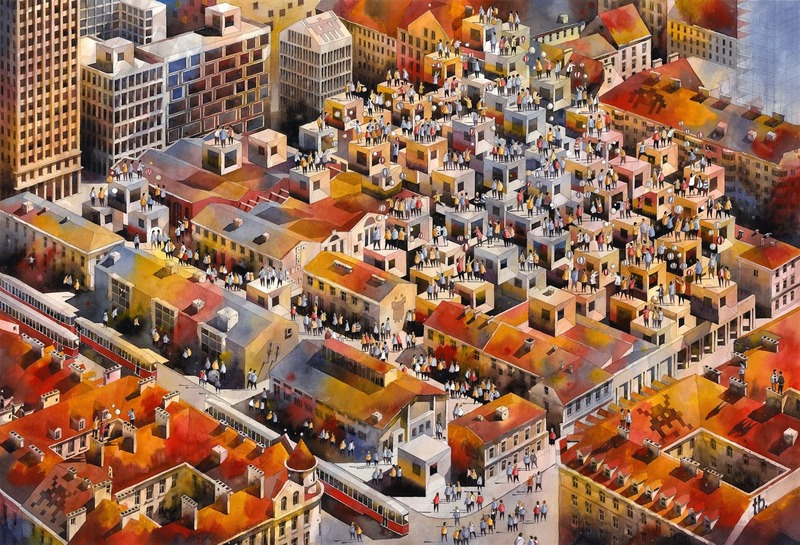 Passionate of the city, its bustle and mood. 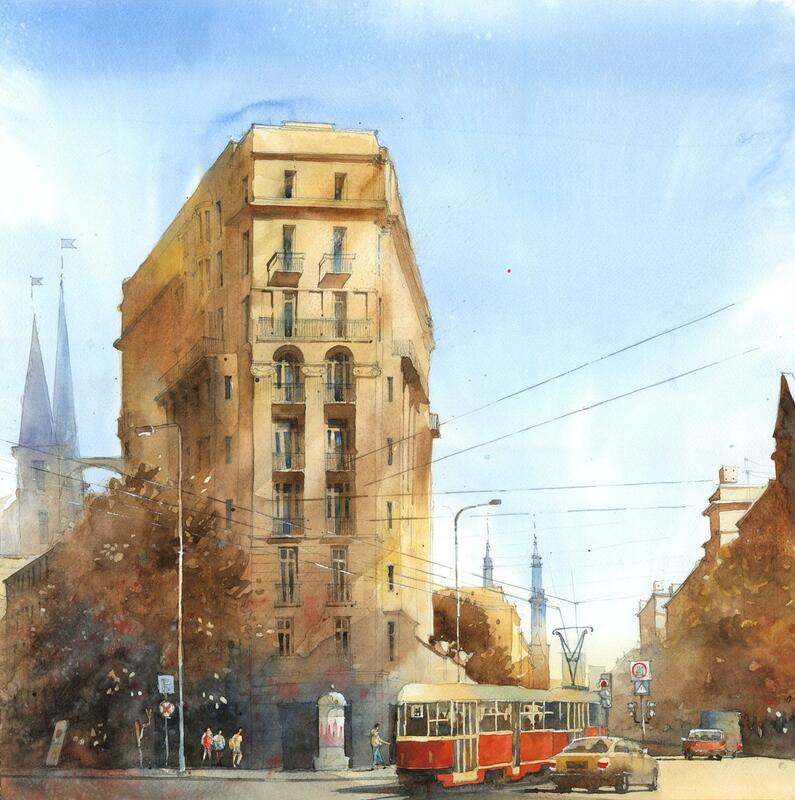 Great admirer of Warsaw with its difficult history and spectacular transitions. 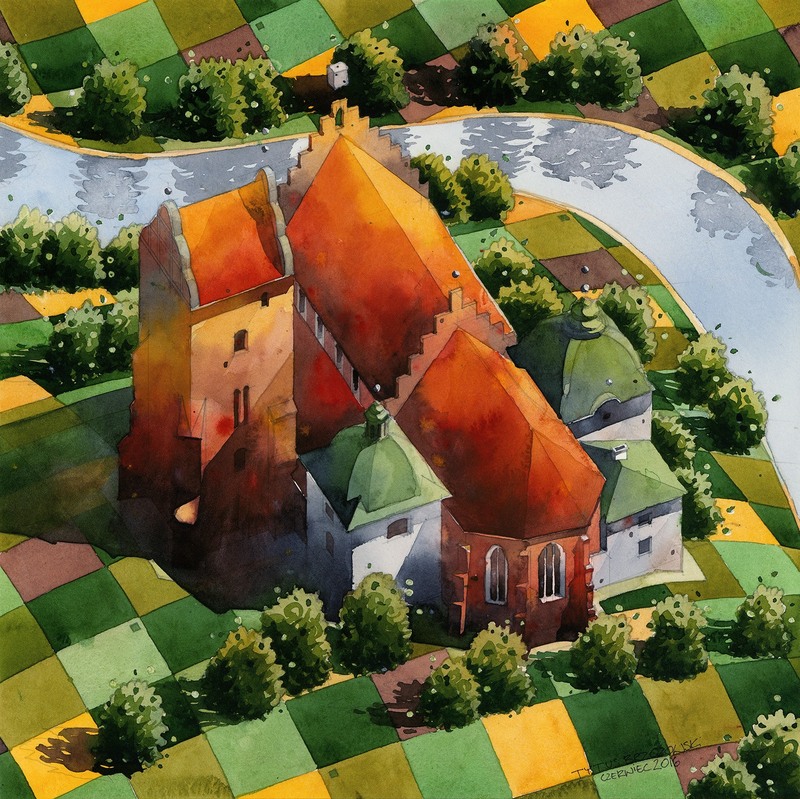 He's seeking for vibrations in the architecture, being inspired by the decent, consistent design. 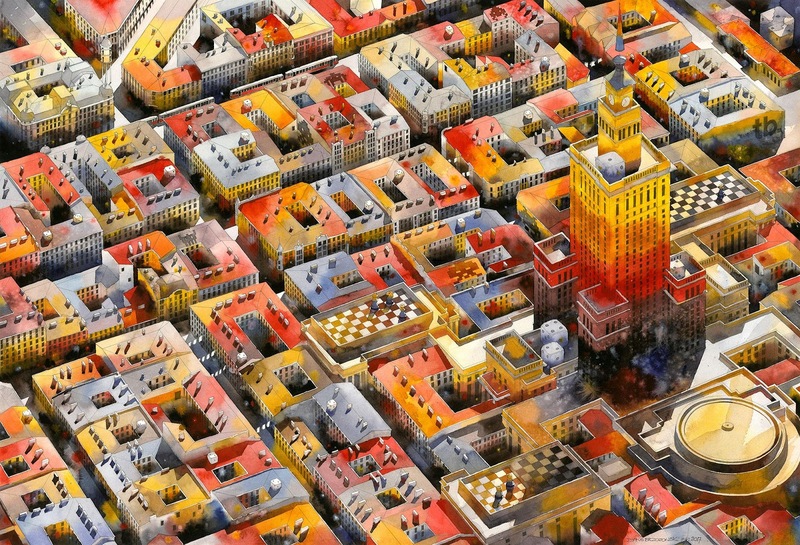 In his paintings, he's trying to show the noise of the city, playing with its changes and dynamics.